How much does solar installation cost? Here’s what you need to know if you’ve been wondering about the cost of installing solar panels. Solar panels are a growing trend—and a smart one at that, but the factor that has deterred most people from jumping onboard the solar photovoltaic bandwagon is the cost of installing solar panels. But how much does solar installation really cost? The truth is that the cost of installing solar panels “depends”. There is no one-size-fits-all model for incorporating solar panels into your home’s energy supply. You can go as big or as small as you’d like. The cost is also relative since the amount you end up saving on energy consumption also plays into the amount you are spending to initialize that process. Let’s take a look at some of the basic solar installation costs you could be looking at if you decide to incorporate solar energy into the construction of your home and energy system. Before you can determine the cost of installing solar panels in your home, you first need to determine the size of solar panel you need to install to counter the cost of your monthly energy expense. This will vary based on numerous factors, including the size of your home, the type of heating and cooling systems you have installed in your home, and the number of non-standard items you have in your home (hot-tub, swimming pool, electrical appliances that run on a continuous basis, etc.). 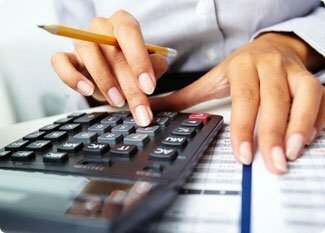 This applies to your business as well, and when you are doing your calculations to determine solar installation costs, also remember to factor seasonal energy increases into your equation. If there are months when the amount of time you need to run your air conditioner or heater is increased, that will reflect in your energy bill, and you will want to plan to accommodate the maximum amount of energy usage. Of course, that also means planning for future renovations and expansions that might cause your energy consumption to increase, although this may also be addressed later by incorporating another solar panel into the expansion, as long as your first installation leaves room for the connection. 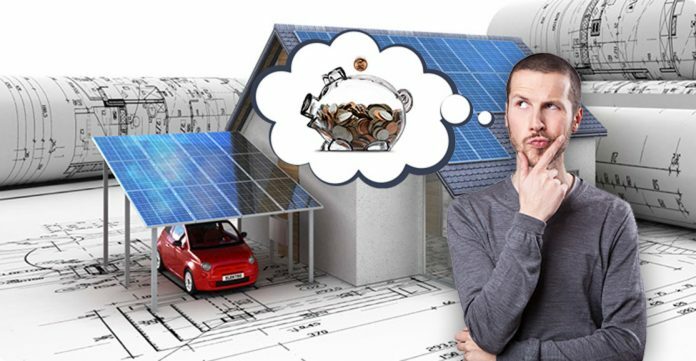 For the purpose of providing you with a basis of information for calculating solar installation costs, we’ll look at some average electricity costs for US homes, but it’s important to remember that these may vary based on the aforementioned variables, as well as based on fluctuating energy costs across the country, and it is always a good idea to consult a professional to determine the appropriate size and cost of installing solar panels on your home. The average US home consumes 1kW of electricity per hour (kWh), and with 730 hours per month and the average price of a kWh of electricity costing $0.10, the average US home pays approximately $73 a month for electricity. Based on this figure, how many solar panels would you need to install to generate enough capacity of solar energy to power your home? This largely depends on the other variable: the average amount of sunlight your home is exposed to. The average generating capacity of a solar panel is 10 watts per square foot at a panel conversion efficiency of 12 percent, which translates into 100 square feet of solar panels per kW you generate. That 100 square feet of solar panels would be enough to power your home if the sun were out 24 hours a day; since it isn’t, you need anywhere between 400 and 800 square feet of solar panels to power your home for the entire day, depending on where you live and how much sun exposure your home gets. Of course, these are estimates. Your home may consume less energy and thus require fewer square kilometers of solar panels, or it may have higher sun exposure and thus require fewer square kilometers—or the opposite may be true. It’s important to have a much clearer outline of the characteristics of your house in order to get an accurate idea of the cost of installing solar panels on your home. How much will solar installation cost you? Before we get into the average costs, it’s important to note that the way you store your solar energy will also play a role in the cost of installing solar panels in your home. You have a couple of options for this, including using batteries to store energy, or using reverse net metering to monitor how much surplus energy flows into the grid so you can be awarded credits for when your solar panels aren’t generating power and you need to consume your energy from the grid. However, when it comes to calculating solar installation costs, you also need to know what components of the solar photovoltaic system you will be required to install in order to make your system effective. What components are required in the installation of your solar photovoltaic (PV) system? 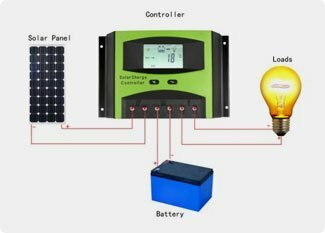 There are usually four components: the solar panel, which harnesses the sun’s energy and converts it to electricity; the controller, which regulates the flow of electricity, protecting the battery; the battery, which stores electricity for later use when the solar panel isn’t producing electricity; and the inverter, which converts the stored energy into a form of voltage that can be used to run standard electrical equipment. Factoring in the cost of each component, the cost of installing solar panels averages at around $7-$9 per watt. That means solar installation costs for a 5kW system would be between $25,000-$35,000. Of course, the cost of installing solar panels may not actually be so expensive, especially when you factor in government and utility company incentives, and even though it may seem like there is a long payback period before you start to see the benefits of your installation, that payback period is shortening as the cost of traditional energy sources continues to rise, and as the technology behind the solar PV installation becomes more efficient and more inexpensive. In fact, it is largely the cost of the auxiliary equipment that drives up the cost of installation, and as those prices become more affordable and incentives make them more accessible, solar PV systems are getting closer and closer to achieving a 10-year payback period, even without subsidies.